Broadcaster San Marino RTV has invited Serhat to represent the country again at the Eurovision Song Contest. He participated in 2016 as well, when he represented the small republic with the song ‘I Didn’t Know’. Serhat was working on his new album, when he got the invitation from San Marino RTV for this year’s contest: “San Marino is always in my heart, our friendship lasts forever and ESC 2016 was probably one of the best memories of my career. Despite my tight schedule, it didn’t take me long to decide. I am very proud to represent San Marino for the second time”. San Marino RTV underlines: “When we started to plan the next edition of ESC, we realized that this participation will be our 10th entry. It is a “round” number, an important goal for us, and we thought that we should celebrate our anniversary in Israel, with someone special. We were always in touch with Serhat during the last two years and now after 2016, we are fully empowered and believe that Serhat being full of interesting ideas, is the right choice in the right moment”. His song for the 2019 Eurovision Song Contest will be released at a later date. 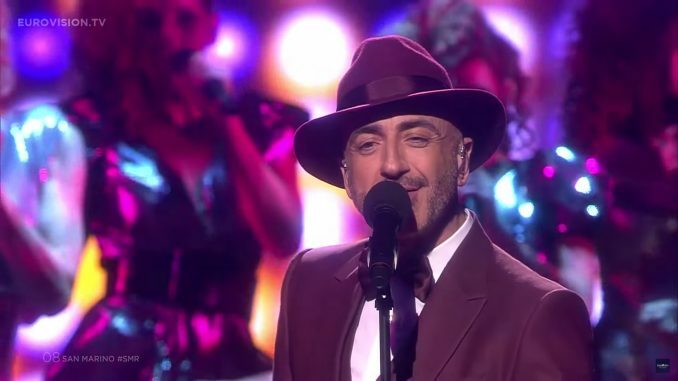 Back in 2016, Serhat represented San Marino with the song I Didn’t Know in the first Semi-Final.